Our Tigernuts – Greses, S.A. 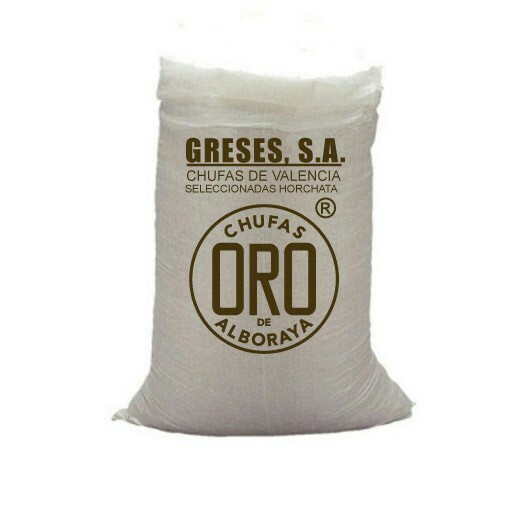 The “Oro de Alboraya ®” tiger nuts are special for Horchata, correspond to a rigorous selection of this tiger nut in quality and size, being the most suitable for the elaboration of the traditional horchata. 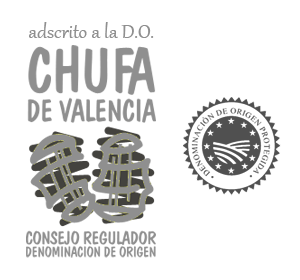 We differentiate our products by size, maintaining the highest quality of our tigernuts. 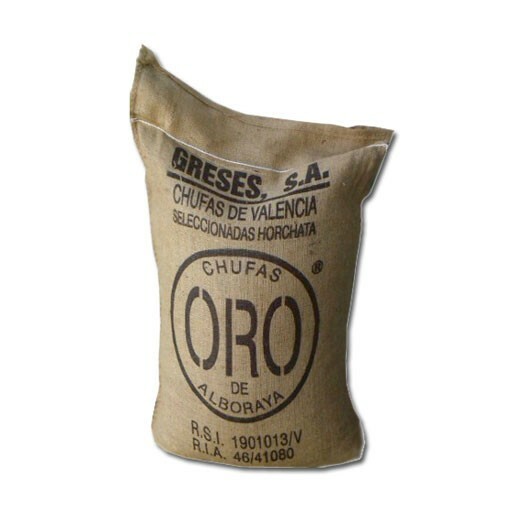 Tigernuts “Oro de Alboraya®”, our reference brand, tiger nuts of a caliber between 5 and 12mm., specially designed for the production of horchata. Tigernuts “Granzeta”, with a caliber between 8 and 12mm. 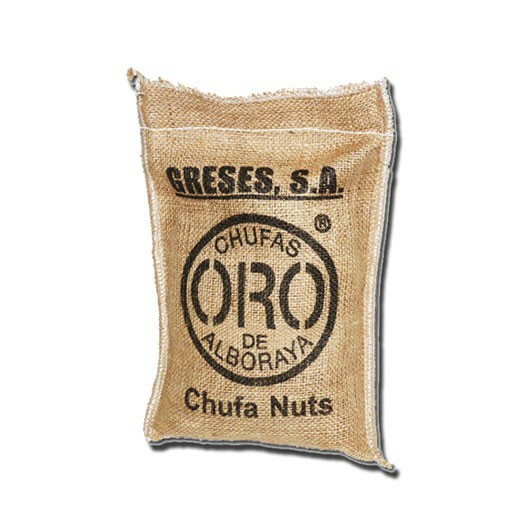 Tigernuts “Granza Selección”, from 12mm., Special for the dry fruit market. Tigernuts “Black Tigernuts”, tigernuts for the fishing industry..
300 grams (0.66 lb) sachet of tiger nut, an ideal gift. 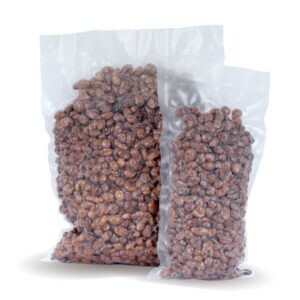 Adaptable weight sack of tiger nut, vacuum-packed in plastic bag (BPA free). 1, 5, 10, 15 kg (2.2, 11, 22, 33 lb) sack of tiger nut, designed for the private customer. 25 Kg. (55 lb) raffia sack of tiger nut. 25 Kg. 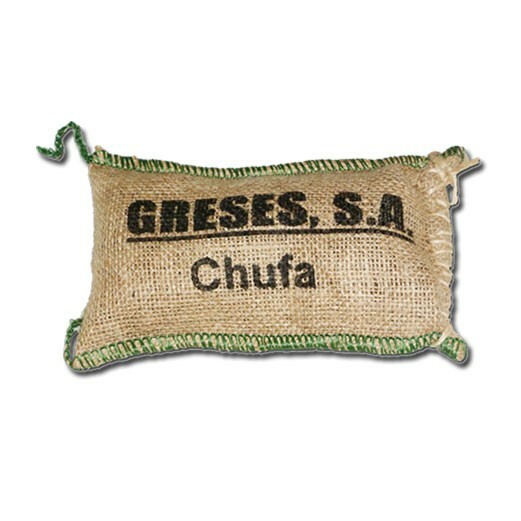 (55 lb) jute sack of tiger nut, our standard format. 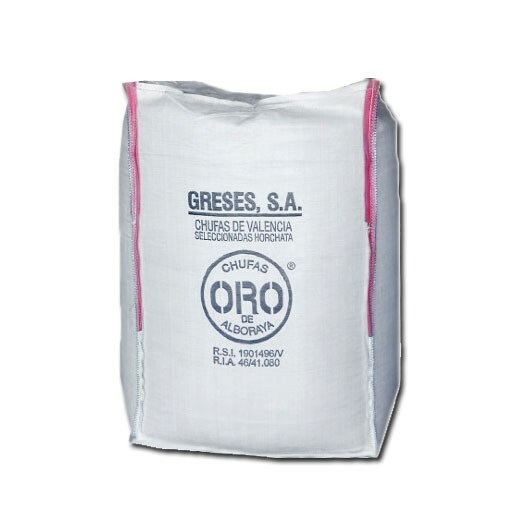 “Big-Bag” sack of tiger nut, with 1,000 kg (2,204 lb).